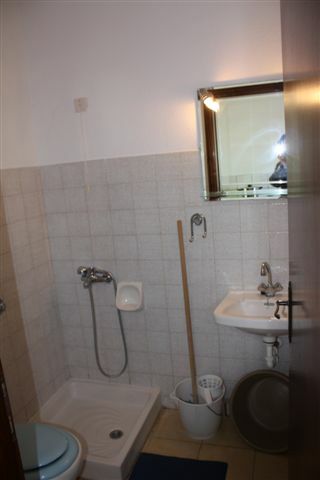 4 studios for 2-3 people or a family with two young children. 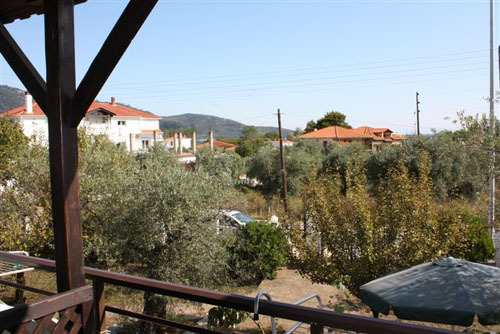 2 apartments with two bedrooms that can accommodate up to 6 people. 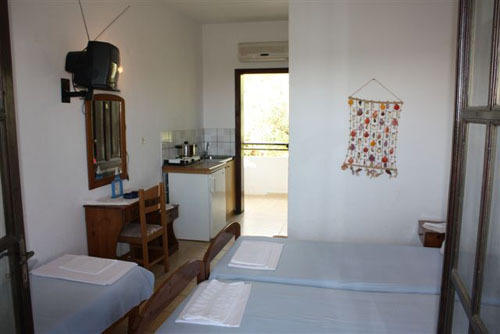 The 4 studios have either three single beds or one double and one single, as you require. 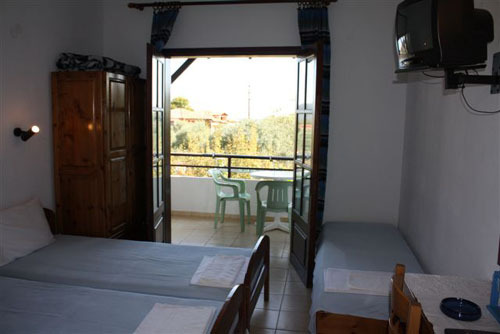 The studios are air-conditioned with television, ensuited bathrooms and balconies. 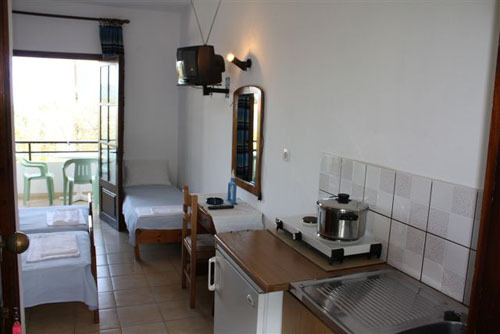 There is also a small kitchen area equipped with fridge and basic appliances. 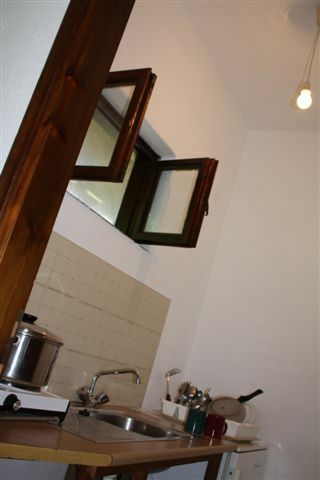 The two apartments have two bedrooms, that sleep two and three people respectively. 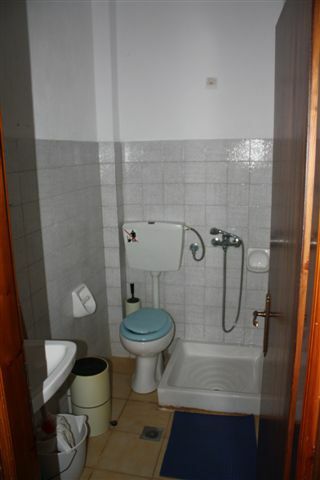 There is air-conditioning, television and one ensuited bathroom. 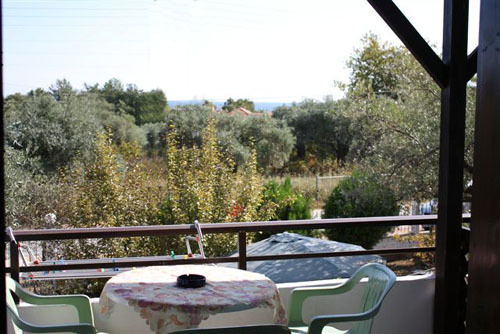 The kitchen has a fridge and basic appliances but dining is confined to the balconies, which overlook the front and back gardens. 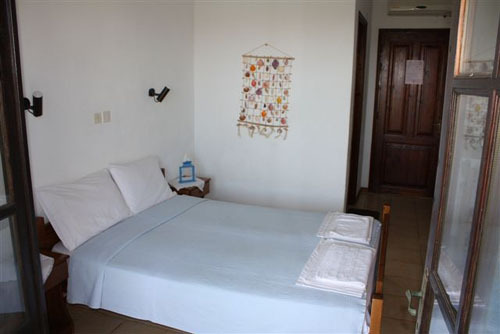 All the rooms are located on the first floor and the building has a red tiled roof. 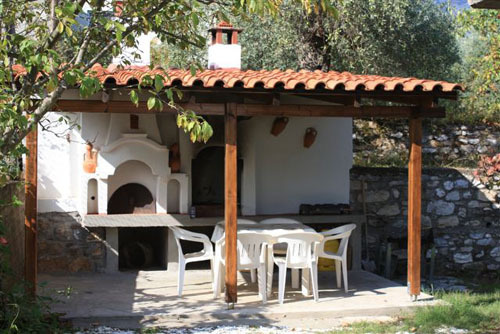 There is 1500 square metres of land surrounding the property, with a barbeque and dining area. 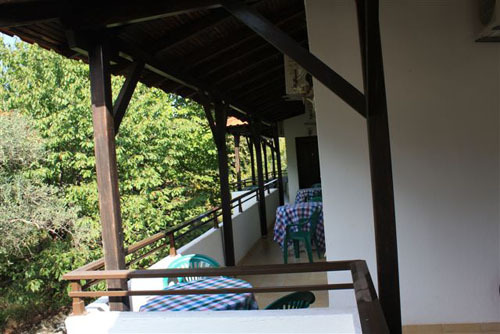 For children, there is a play area, including a seesaw and slide, and small tables for them to play and dine. 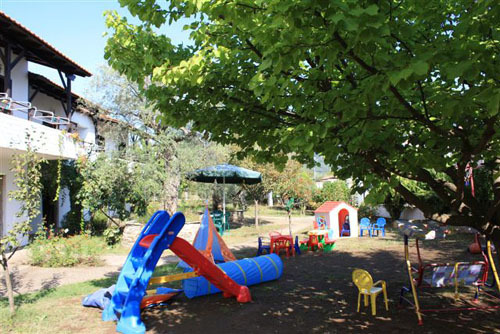 The grounds are fenced, so safe for children, and there is space to park cars.